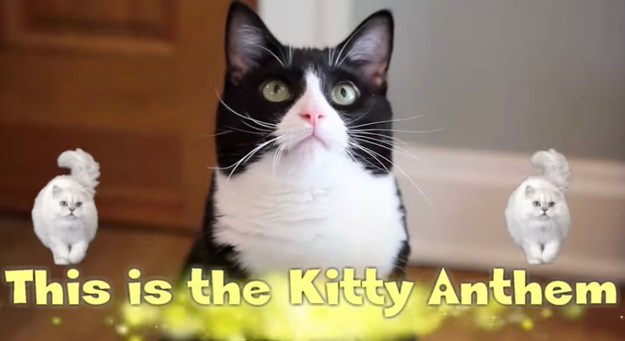 'The Kitty Anthem' Will Leave You Speechless...Seriously! Prepare to be left without words and with a confused look on your face after watching "The Kitty Anthem." Saying it's weird is an understatement, but hey! All of the cat lovers out there will probably enjoy this music video from Adam Barta and Preston the Cat. Watch the entire video.